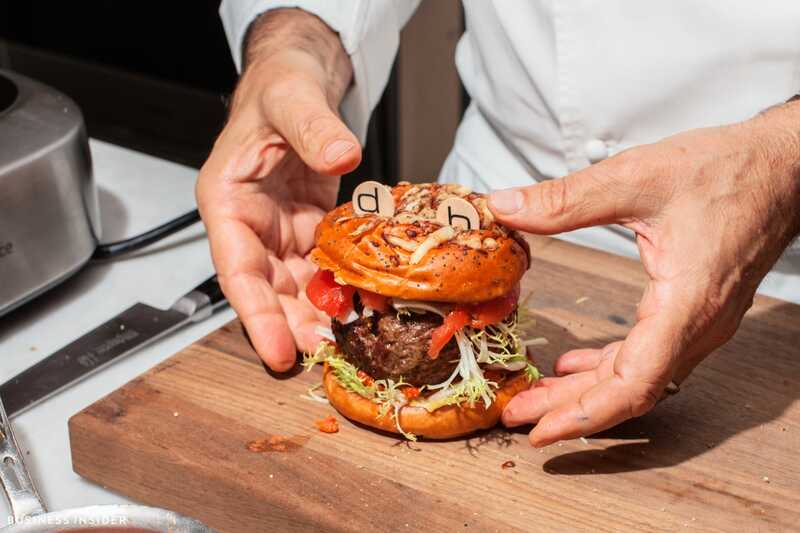 Hollis JohnsonDaniel Boulud let Business Insider into his kitchen to see how he makes the db Burger. Daniel Boulud is a world-famous chef. He recently showed us just how he makes it. French chef Daniel Boulud hasn’t changed the recipe for his famous $US35 burger in 16 years. 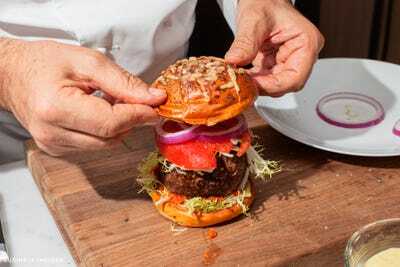 The db Burger, served at db Bistro Moderne in New York, is so complicated that it takes three days to construct. 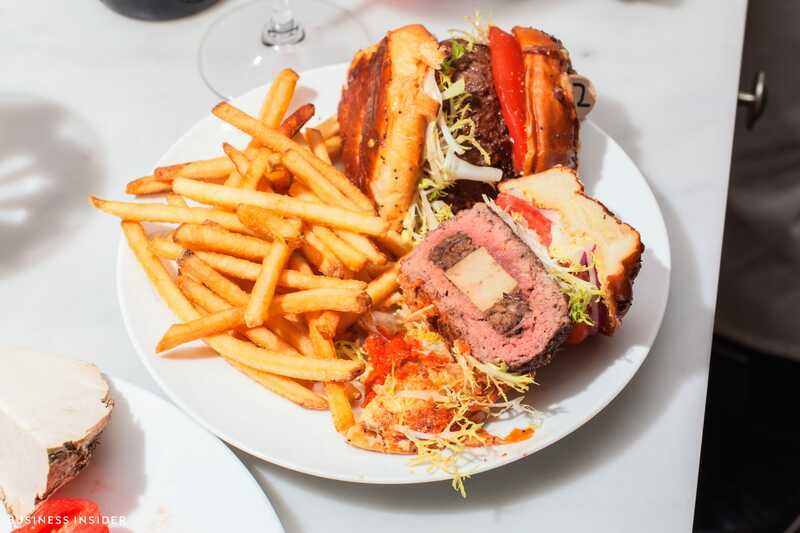 “It’s the Rolls Royce of burgers,” Boulud told Business Insider. Yet his restaurant manages to churn out 120 burgers a day and is fast approaching the million-burger mark. 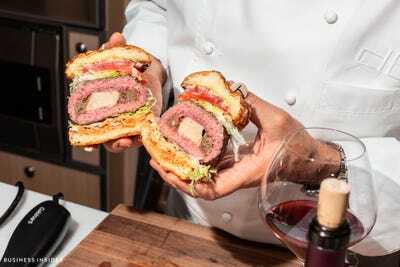 We recently met Boulud in one of his kitchens in Manhattan to find out exactly how this celebrated burger is made. He then adds the secret ingredient: foie gras. This is rolled up inside the braised meat and placed in the fridge to chill. But the most important part of this burger is the quality of the meat, Boulud told Business Insider. 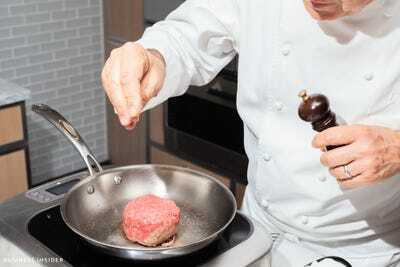 “To make a good burger, you need a blend of fat and lean meat. Different parts of the beef add different flavours,” he said. 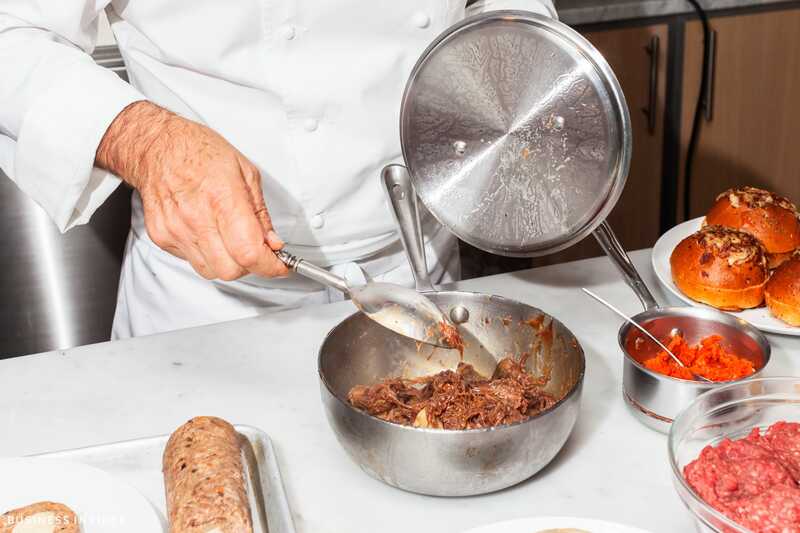 Boulud uses a mix of sirloin, flatiron, short rib, and Ribeye beef, all of which are ground in-house. The fattier the meat, the smaller the grind, he said. Tip: If you are cooking the burger rare, opt for a less fatty meat. 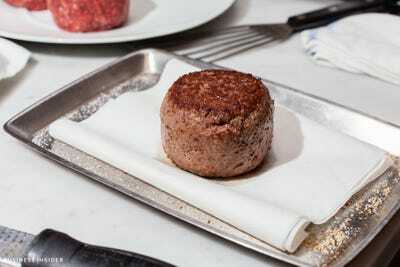 If you want a well-cooked burger, choose a fattier meat. He cuts a slice of the chilled, braised meat and foie gras and folds it inside. 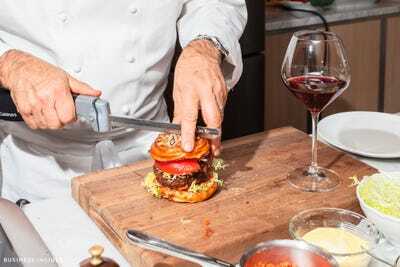 The trick is not to compress the burger too much, but make sure the meat is well sealed, Boulud told Business Insider. 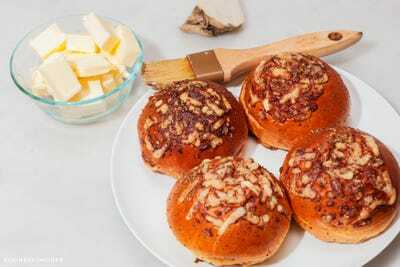 The second-most important element is the bun. The db Burger bun is baked in-house. It’s a potato bun with a brioche-like texture, topped with shredded parmesan, cracked pepper, and poppy seeds. 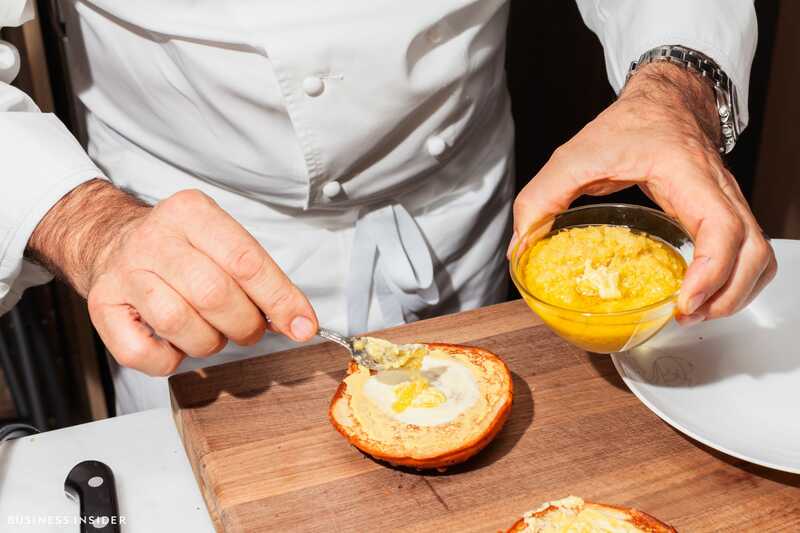 Tip: If you’re making this at home, Boulud recommends using either parmesan or cheddar cheese. 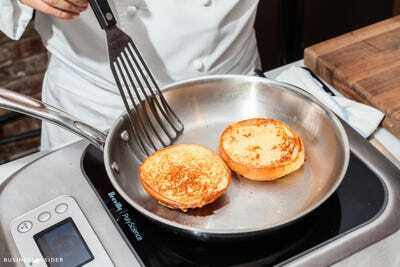 The bun is buttered on both sides and then toasted in a pan. 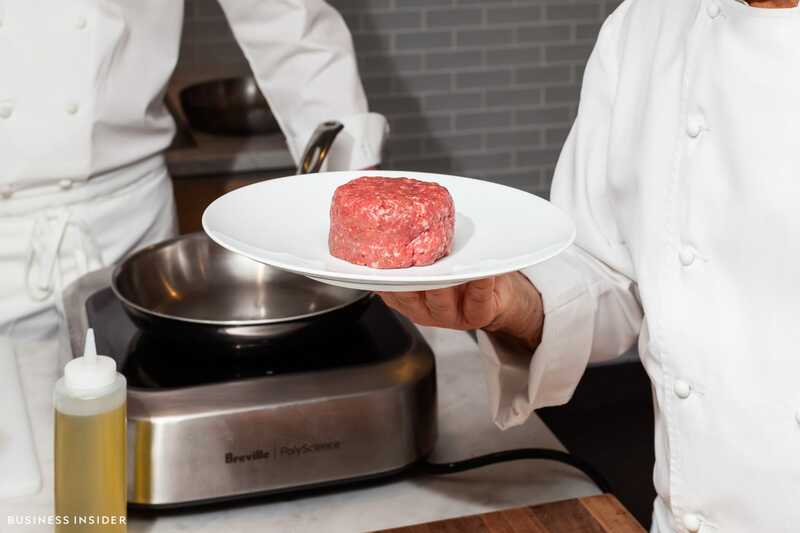 Next, he sears the meat at a temperature between 350 and 420 degrees Fahrenheit. 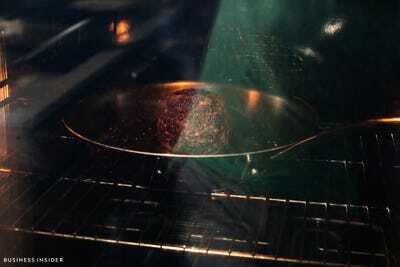 He cooks both sides until they brown slightly. 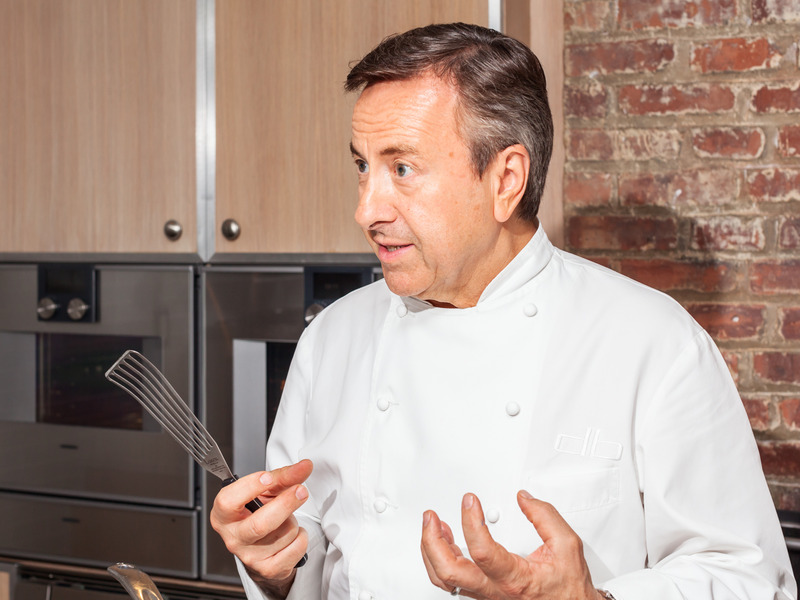 “It’s nice to taste the char, but you don’t want to dry the meat,” Boulud said. He then finishes it off with a few minutes in the oven. The next stage is to leave the meat to rest. 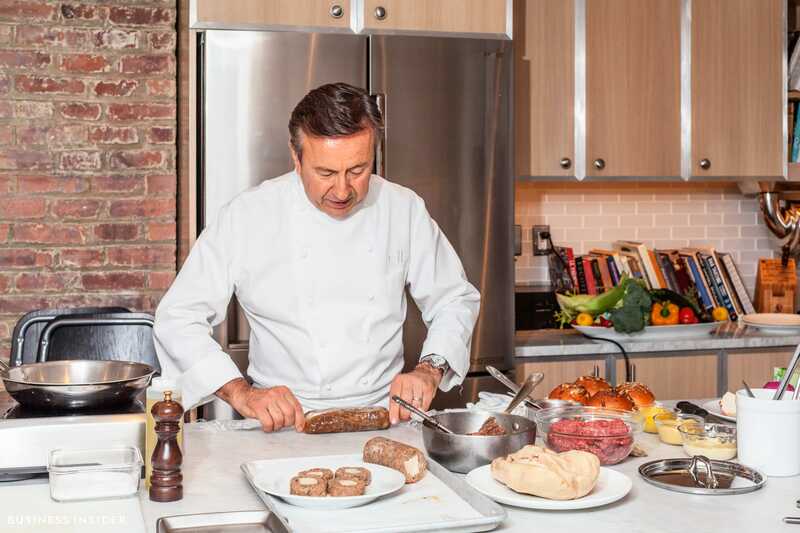 “We rest the meat to keep the juices in,” Boulud said. 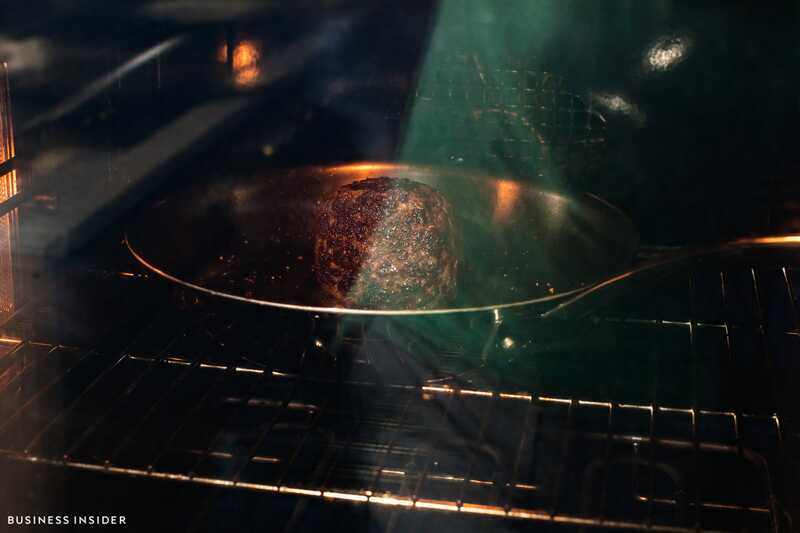 Each pound of meat should be left to rest for seven to 10 minutes. 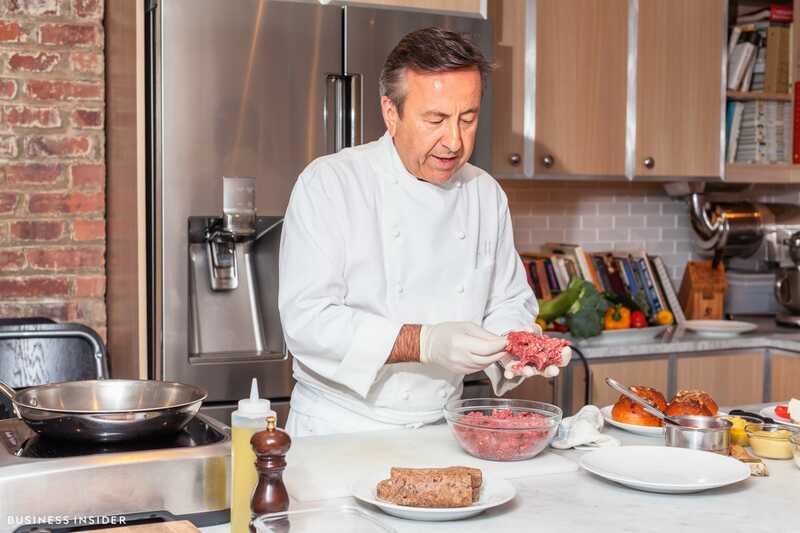 When it comes to condiments, Boulud likes to stay true to his roots and always opts for a French mustard. “American mustard would have not done for this burger,” he said. … along with frisée, a fresh plum tomato, and an onion. 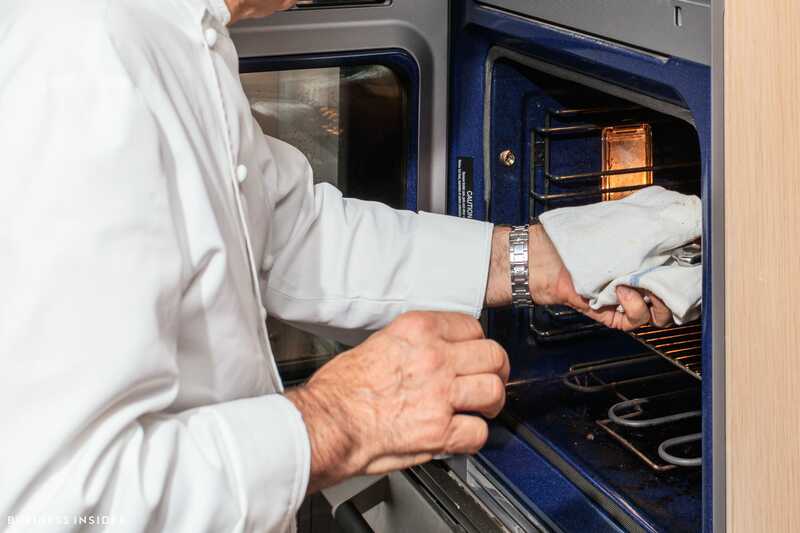 Lastly, he re-heats the burger in the oven for a few minutes so that it’s served warm. Et voilà, the famous db Burger. 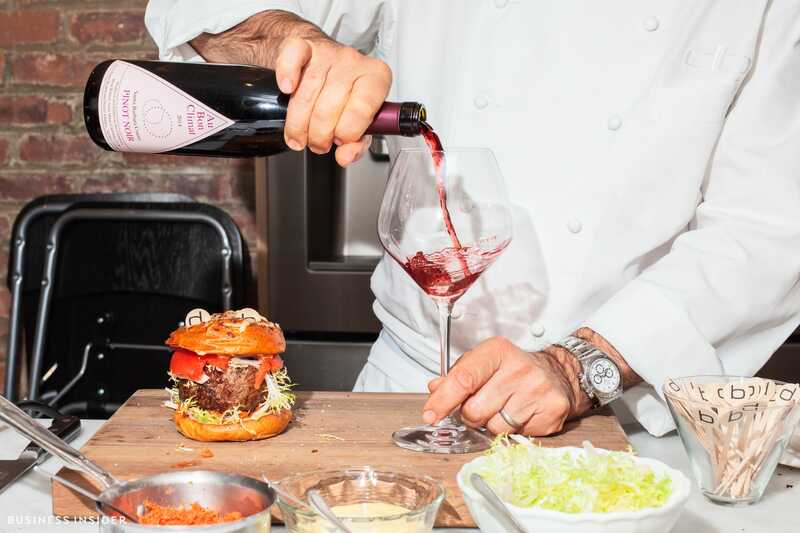 Boulud says his burger is made to be drunk with wine. “It was not made to have with a beer or a coke, but a good pinot noir. This is a majestic burger,” he said. And he’s a perfectionist up until the final minute, splitting each burger in half with an electric knife to create perfectly cut edges. The burger is served with fries and costs $US35 at db Bistro Moderne.